Shop online for over 200 hobby and model paint supplies at discounts up to 39%. Vallejo Acrylic Paints is ranked #1 out of 26 hobby and model paint supplies manufacturers, followed by AK Interactive, and Tamiya. Airbrush Cleaner from Vallejo is an indispensable product for cleaning the airbrush between colors. 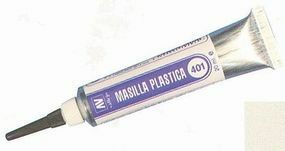 It not only eliminates rests of the color used, but at the same time lubricates the interior of the airbrush without damaging the mechanism. Polly's Easy-Lift-Off paint and decal remover is designed to be used on most plastics and metals. It removes unwanted decals, unwanted coatings, and works on MOST types of paint. ***NOT RECOMMENDED FOR CHILDREN***. 1- Can- Paint and Decal Remover. This is the 200ml Bottle Black Primer from Vallejo. 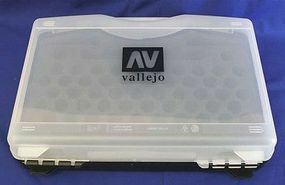 This is the Empty Plastic Storage Case (Holds 72 Colors & Accessories) from Vallejo Paints. This is the 200ml Bottle White Primer from Vallejo. 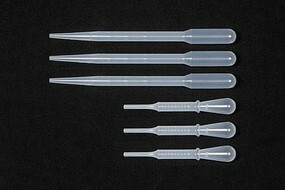 This is the Short and Long Pipette Set from Tamiya.:. This is the MATTE VARNISH POLYURETHANE from Vallejo Paints. This is the Brush Restorer from Vallejo Paints. 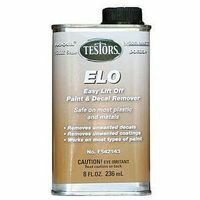 Softens and restores all fine brushes used for watercolours, miniatures, silk painting, etc. Does not contain alcohol.